Gastric ByPass Surgery, costs far less in France than it does anywhere else in the UK or all of Ireland. It has a reputation which is growing rapidly as more and more patients are happy to travel to France to achieve a weight loss goal with this type of surgery. For people who find that their weight is constantly increasing they can improve their results at a controlled pace following surgery and by then eating a recommended low calorie diet, and also by following a simple exercise routine which can actually become a life saving event. However, bypass Surgery is not always suitable for everyone. Whilst it is generally accepted as one of the safest and most efficient methods to achieving long-term weight-loss, it can have more benefits than drawbacks. Prior to deciding which type of bariatric surgery to have, it is important to assess the potential risks as well as the expected benefits extremely carefully by contacting your own local Health Practitioner prior to consulting with an authorized bariatric Practitioner. By doing this you will have the valued opinion of a Doctor who knows you already and also understands your personal situation and general health rather than a Practitioner who may have a vested interest in carrying out the surgery ! 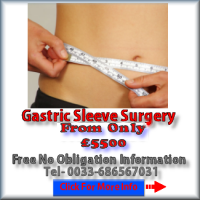 After having ByPass Surgery the majority of patients will lose weight reasonably quickly. Post operative clients report a substantial improvement in quality of life and well being shorlty after the surgery has taken place. There are Very Few patients who report or experience any problems following the surgical treatment. Sufferers struggling with weight-related health problems frequently see improvements to their health within two years. 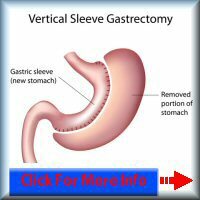 The popular Gastric ByPass Surgery offers a reasonably short recuperation period and very little discomfort post operative. Gastric ByPass Surgery treatment will help deal with type 2 diabetes or help obese sufferers with other higher glucose levels. ByPass Surgery could improve cardiovascular concerns including high blood pressure. Incontinence has also been reported as being solved via Gastric ByPass treatment. To find the answers to these and many other questions why not visit our main information pages by following the links by clicking any of the images below.